WGN’s “Man Of The People” is a hit. Also: WCIU to air Black History special; Record ratings for radio stations airing Christmas music; St. Louis anchor suspended for racial slur. In a battle for local TV and comedy justice, The Man Of The People defeated the evil Captain Chesapeake from Baltimore. 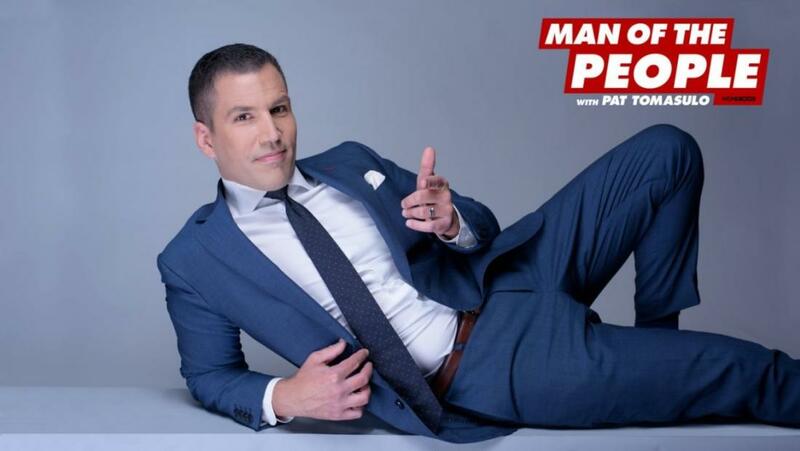 WGN-TV announced last week the renewal of locally-produced comedy Man Of The People hosted by WGN morning sports anchor Pat Tomasulo for a second season, as first reported by Robert Feder. Featuring a comedic look at the week’s news, on-the-street interviews, and sketches, the program has indeed been a welcome addition to local TV. After several weeks of repeats, People returns with all-new episodes February 2. On tap for the second season, Tomasulo plans a “Big Game Party” (no doubt related to a certain big sporting event Sunday); a “Red Carpet Special”; and another visit with the Mall Walking Ladies at Norridge’s Harlem-Irving Plaza as the first one drew nearly 250,000 views on YouTube. In fact, Man Of The People’s YouTube page has 4,000 subscribers. According to Feder, the series has done well in its 10 p.m. Saturday (or later, depending on sports overruns) slot as People is the highest-rated entertainment show in households and the 25-54 demo, beating American Dad reruns on WCIU (the slot was occupied by Bob’s Burgers until last September) and Dateline on WPWR. Also in the same review, I noted viewers “enjoy Man Of The People Chicago viewers before Captain Chesapeake fires the Man.”, in reference to Hunt Valley Md.-based Sinclair Broadcasting, who was poised to take over WGN parent Tribune Media last year before the deal collapsed. “Captain Chesapeake” was a former 1970s and 1980s kids show host for Sinclair flagship WBFF-TV, now a Fox affiliate. Due to Sinclair’s own arrogance, Captain Chesapeake’s boat sank. Score one for “The People” and Pat Tomasulo. The next time someone tells you terrestrial radio is dying, you might want to take a look at the recent “holiday book” released this week. Numerous radio stations set ratings records this year with the Christmas music format (or as I call it, the “Holly Jolly” format), with numbers not seen in years. The highest number came in the Salt Lake City market, where KSFI scored a blockbuster 21.8 share. Some stations saw ratings they haven’t seen in years. iHeart’s KOST in Los Angeles with Christmas music scored its highest ratings ever and the highest for any L.A. station in 52 years. 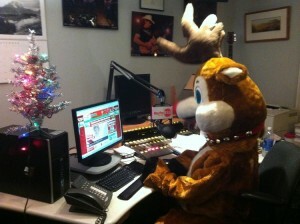 Another iHeart Christmas station (Detroit’s WNIC) scored the highest ratings for any Motor City station since 1976. Locally, iHeart’s WLIT finished on top of course – but ratings for the Holly Jolly format were actually down from 2017, falling 7 percent (13.3 to 12.4). Still, WLIT dominated the market total-day with the station’s lineup finishing first in every depart – something not seen in Chicago since WGN Radio’s heyday the 1980s. And the impact stretches far beyond radio. Christmas music also dominated streaming services this holiday season as several holiday songs made the Billboard Hot 100 – in some cases, not even doing so when they were originally released (due to rules at the time.) For example, Mariah Carey’s 1994 hit All I want For Christmas Is You reached number 3 for the week ending January 5, 2019 and was streamed on Spotify 10.82 million times. So why is Christmas music so popular this year? Easy – given the rotten times we’re currently living in (especially with the nation’s political discourse and the recent government shutdown), listeners are certainly looking for something positive to listen to – not to mention a family-friendly format (you can listen in the car with your kids) and has strong appeal with female listeners – something advertisers love. While the December and holiday “books” is a non-important survey for stations not airing Christmas music as it disrupts regualr listening patterns, it is an important profit center for those who do. 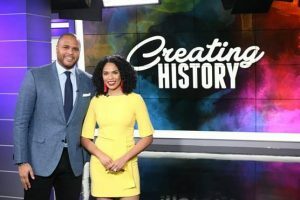 Weigel-owned WCIU is producing a Black History Month special titled Creating History, a look at local influences and their talents, stories, and experiences to create meaningful change. Set to air February 3 at 12:30 p.m., the special profiles six individuals who are working to make Chicago and the world a better place to live – while showing compassion for others. The special is hosted by The Jam’s Felicia Lawrence and Jordan Cornette, who also is one of David Kaplan’s co-hosts on WMVP-AM’s Kap & Co. The special is also slated to run on WCIU February 24 at 12:30 p.m. and on sister station The U Too February 10 and February 17 at 2:30 p.m. All dates listed are on Sundays. Look for other stations and local outlets to celebrate the achievements of African-Americans in February as it is Black History Month. 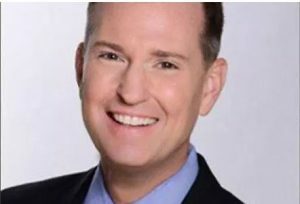 A news anchor for Tribune-owned Fox affiliate KTVI in St. Louis has decided to step away after “misspeaking” during a newscast earlier in the month. On the morning of January 17, Kevin Steincross inadvertently used a slur while reading Dr. Martin Luther King’s name, using the “c” word instead of “King”. According to the St. Louis Post-Dispatch, he returned to the air at 9 a.m. the same day and apologized for the mistake. However, the action wasn’t enough for many viewers and the local chapter of the NAACP, who wanted the anchor terminated. Station management apologized again Friday and met with the NAACP and several civil rights organizations in the St, Louis area, including the Urban League. The station has decided to put Steincross on “indefinite leave”. Steincross appeared on sister station KPLR to announce he was stepping away from the anchor desk. CW affiliate KPLR and KTVI are both owned by Chicago-based Tribune Media. And this may be one of the reasons why Tribune had to act as the company announced last month it was being sold to Irving, Tex.-based Nexstar for $4.1 billion. Tribune officials fear this would draw more scrutiny to the deal – especially after a previous attempt to sell the company failed. Last year, Jamie Allman was fired from his KFTK-FM morning show and lost his nightly talk show at ABC affiliate KDNL after threatening Parkland School shooting survivor David Hogg on social media by using the word “poker” in the most provocative way possible, interpreted as sexual assault. Of note, the Cubs’ Kris Bryant said the home of the archrival Cardinals was “boring” during a recent appearance at a fan convention. It may be, but not when it comes to local media.